Joy Ang is an artist I came across on Drawn.ca. She’s a student at Alberta College of Art & Design, Canada. Her illustration style is light handed and soft, which is why I like it. It’s delicate and neat, capturing feeling within animals, and emotion in situations. My favourite is definitely the love-birds picture (possibly not love-birds! ), with it’s strong contrast of colours. Another Canadian-born artist is 33-year-old Ben Tour. 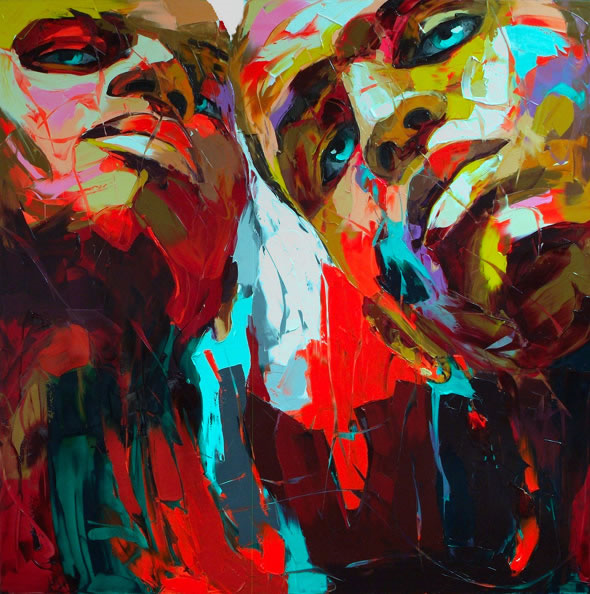 His work is often very dark and emotive, showing great feeling in each piece. He often works with mixed media, and his paintings are sporadic and messy, the colours not often the correct ones but chosen to show a different purpose. I enjoy looking through Tours work on his website (TheTourShow.com) because to me, no piece seems the same and they all show great depth – often within the eyes of the subjects. His work is inspirational, an aim to show that amount of feeling in a 2D art piece. Another bright, colourful, abstract artist. Her expressive painting techniques uses oils and knifes to create free, surprising, and somewhat sexual paintings. Her strokes are random but create such strong artwork, that show such expression. Another artist I came across while browsing another website, I find her work an inspiration towards my use of colour. She takes risk, yet all of her paintings are a credit to herself, her work teaches me to be bold and brave. 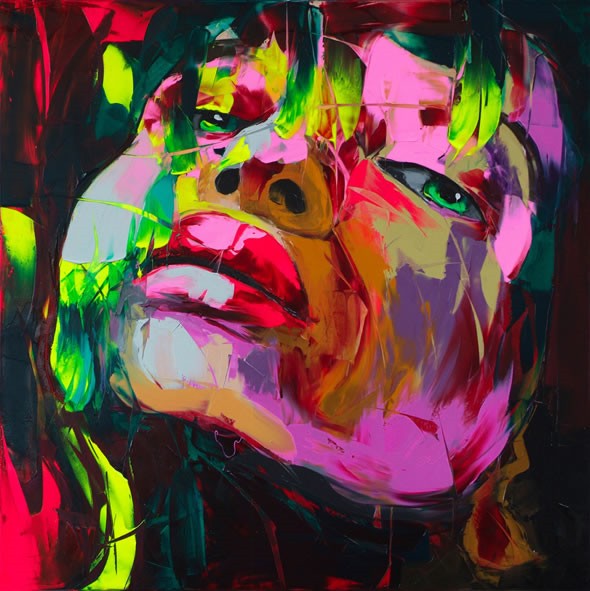 For more work from Francoise Nielly, visit his Website.